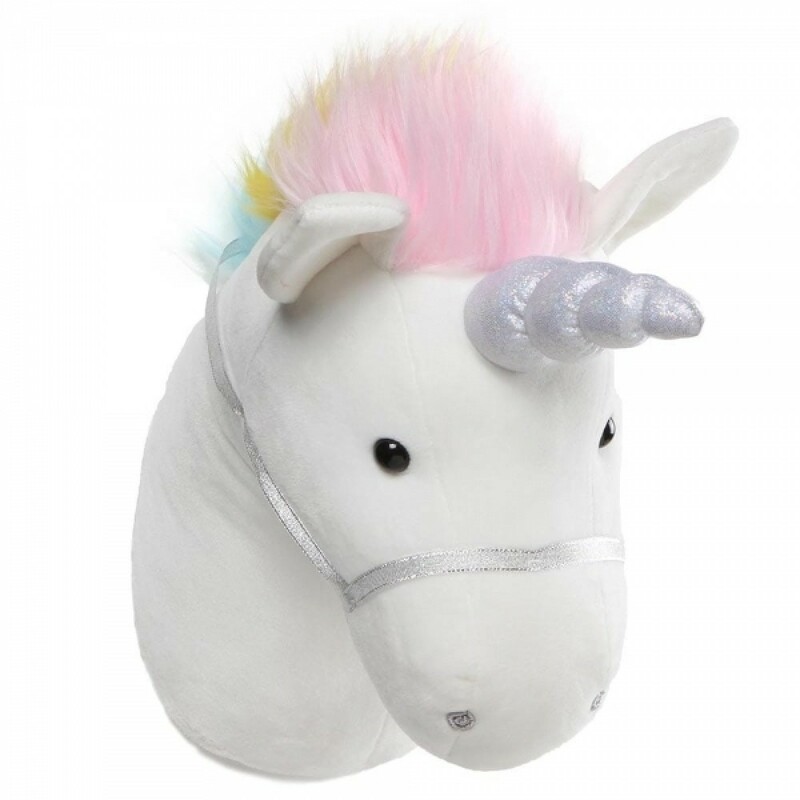 With a rainbow coloured mane and a silver horn this soft Unicorn Head is sure to add some magic and sparkle to your little one's life! Made in size and with exceptional quality, it's going to look amazing wherever you hang it. It's gorgeously crafted by Gund, a company that have been making amazing soft toys in the States for over a century. Super safe, totally non toxic, surface washable and with a simple fix hook for easy hanging, it makes a genuinely stunning gift. Little unicorn fans are going to adore choosing where to put this unique and exceptionally stylish addition to their bedroom or playroom.